I know that time is subjective and all, but when its passing is presented to you via consecutively glamorous Instagram posts, the reality of it weighs on you. 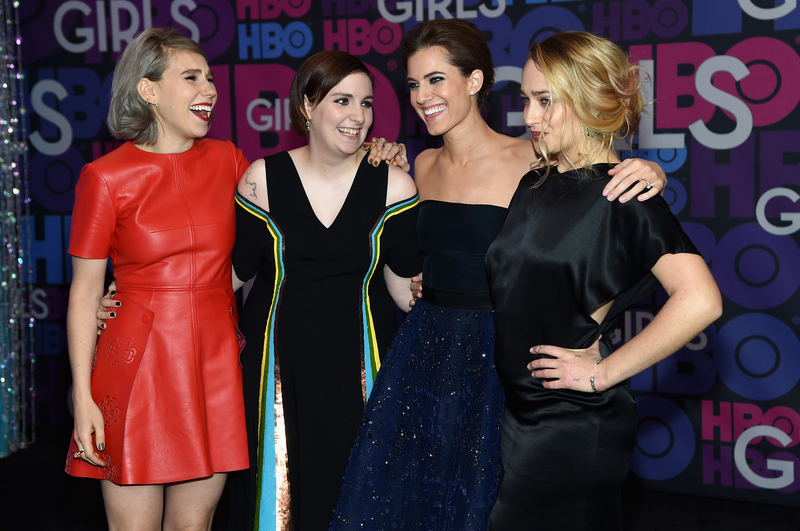 For instance, Monday night marked the New York screening of the Girls Season 4 premiere and in order to commemorate such a momentous event, Lena Dunham did a bit of a nostalgic countdown, throwing it back to the three previous premieres while adding a shiny new pic from the most recent one. I mean, getting your show past one season these days is a success, so if I were Dunham I'd sure as hell be posting photographic evidence of my prolific TV career as well. But it's still hard to get over the fact that we've been watching Hannah, Marnie, Jessa, and Shosh (sort of) grow up for four whole seasons now. The writer-actress-producer has always been good at documenting her experience on the set or basically anything in relation to the show that made her a household name. Her Instagram is an endless source of "exclusive" insight into the world of Girls. She makes you feel like you're a part of the experience because, well, as fans we kind of are. So, in honor of the Season 4 premiere — which will make its way to your TV screen Sunday, Jan. 11 — as well as Dunham's generosity in sharing some pretty great pics with her fans, let's take a look at some of our fave Girls-related Instagram posts from Hannah Horvath herself. We'd be a little worried if she could, actually. How can we do that?! I think they were channelling Sandy and Danny Zuko. 'Cause duh, that's how they start every season. Be still my Adam-beating heart. Ya know, without the turmoil. Never stop posting, Lena. It's what keeps us alive during the hiatuses.